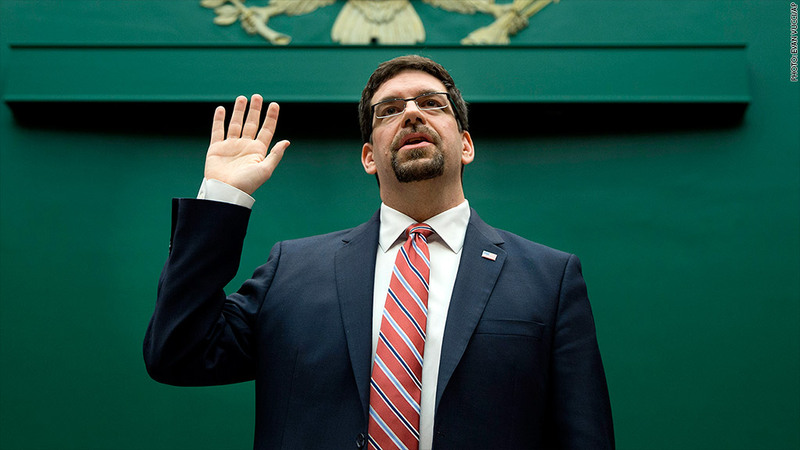 NHTSA acting administrator David Friedman testified before Congress Tuesday. The National Highway Traffic Safety Administration's acting chief David Friedman was grilled by House members Tuesday over the heavily criticized General Motors recall. At issue was the fact that employees at the federal safety regulator raised red flags two different times about airbag problems in GM vehicles. But NHTSA never moved forward with a full investigation. It is now known that the problem is tied to faulty ignition switches, which can turn the car off while it's being driven and disable airbags, power steering and anti-lock brakes. The defect has been tied to at least 13 deaths. "NHTSA was concerned and engaged on the issue," Friedman said. His testimony followed the House committee's questioning of GM CEO Mary Barra Tuesday. Friedman said that the regulator's preliminary investigation into consumer complaints about airbag problems in Chevrolet Cobalts were inconclusive. But Friedman said his agency would have done things differently years ago if it knew the information then that it knows now. "GM had critical information that would have helped identify this defect," Friedman said. First, NHTSA was unaware that GM had designed and installed a new ignition switch in 2006 without giving it a new part number. The faulty ignition switch was behind the failure of some airbags to deploy. Second, Friedman said NHTSA did not know that GM was talking with its suppliers about concerns over airbag failures. Third, Friedman testified that GM never told NHTSA that it determined that faulty switches were at the root of the airbag problem. "Had this information been available, it's likely NHTSA would have changed its approach to the issue," Friedman said. He said both NHTSA and the auto industry must improve. GM (GM) is currently giving NHTSA thousands of documents so that the regulator can determine if communication requirements between the two parties need to be changed. "Our ability to find defects requires automakers to act in good faith and provide information on time," Friedman said. He added that NHTSA's investigation will determine whether the automaker acted in good faith and disclosed the information it was required to by law.